Hello, dear user! We are glad to see you in our “Elemental Heroes” game! 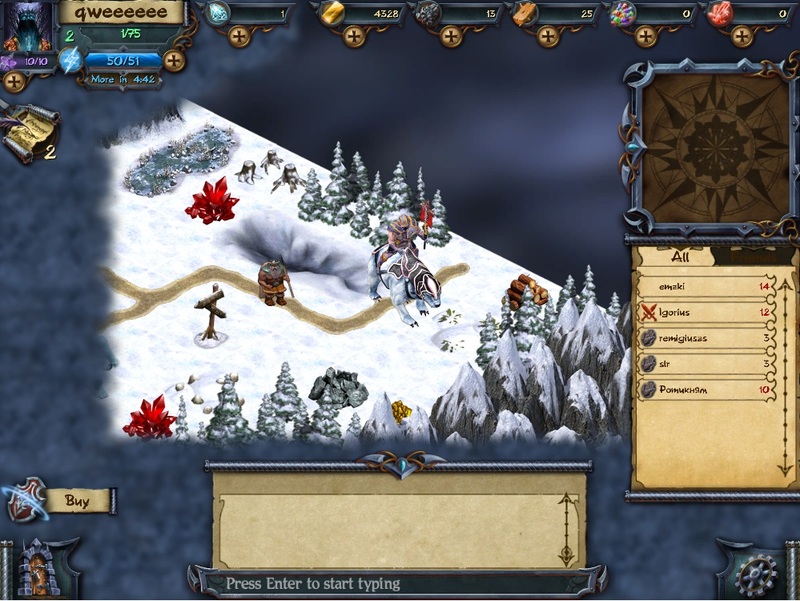 In the game you will have to conquer worlds (locations), to carry out successful combats like Heroes3: Might & Magic, both against computer players and real rivals. There are 4 elements in the game: Nature, Ice, Shadow and Fire. 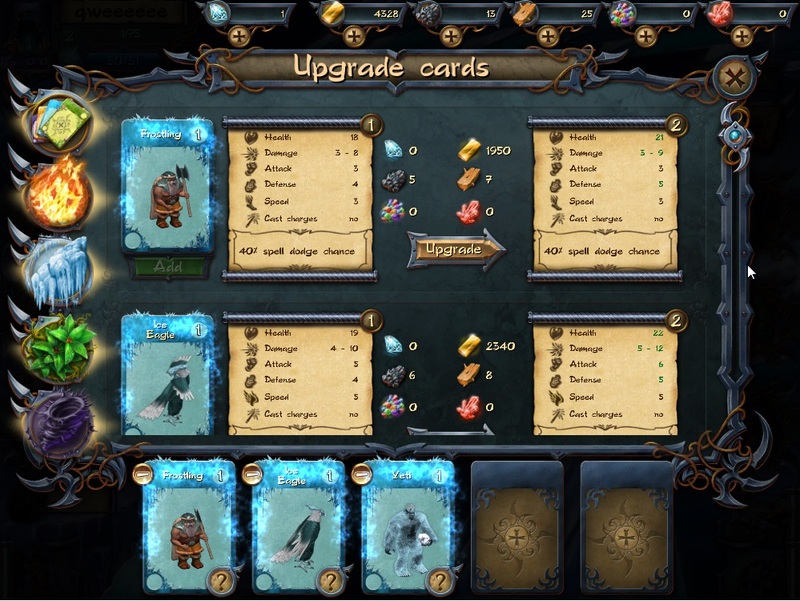 A player can create a character in any of element that means availability of unique skills, characteristics and mechanics of the combat. 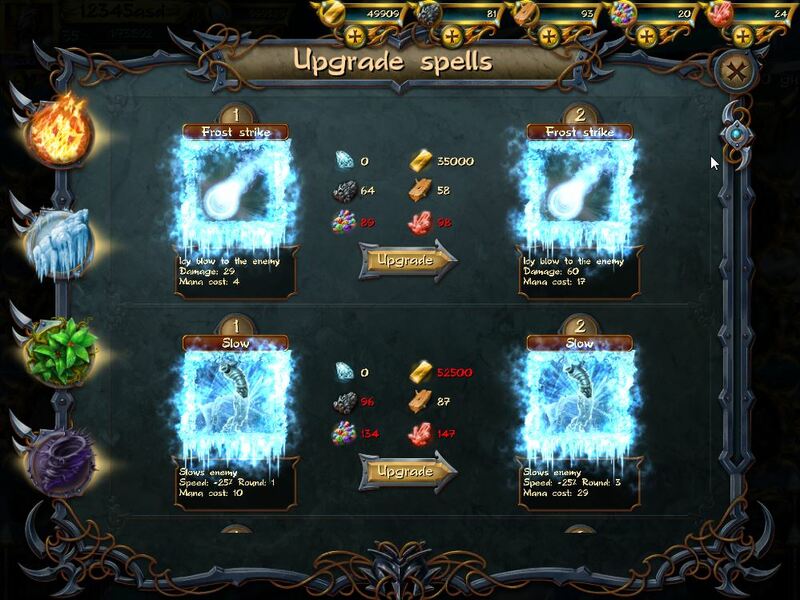 Every player has a set of spells and elementary cards (units), which can be bought and improved in special improvements shop. In order to understand better a point of the game we created a training regime for beginners that will allow them getting the hang of basic principles of the game and peculiarities of development. You have to go through training, and only then we can be sure in your abilities! Every character is a leader of his army. An army consists of units. Their number can reach at least 5. Every unit has a number a lives or so-called charges. For units, which are given to a player automatically, there are unlimited numbers of lives, for the rest of unites a number of lives is limited. Units/Charges can be bought and improved in a special shop. The game is divided into three portals, which we have in a number of 3. The first portal is aimed at helping the beginners to find their feet, the games against real enemies are impossible there and it means that experienced players will not catch you flatfooted (according to our rules, to refuse from a challenge to fight that is thrown to you, is not accepted). The second portal is like the 1st portal but improved. There is an opportunity to play with real players, and also you have a chance to get more significant rewards in result of victories. And, at last the third portal, it is a crown of the game – living PvP, where at the specially created locations you have to be the best (a game in regime of 2/4 simultaneously playing gamers in Free For All style), to reach faster a powerful boss and to kill him. If you succeed in killing a monster, a reward will rather please you. It depends both on skills and experience in a step-by-step strategy game and on quality and strength of your army, and availability of all necessary things for the combat (resources, improvements for units, energy and mana level). Only the strongest wins! 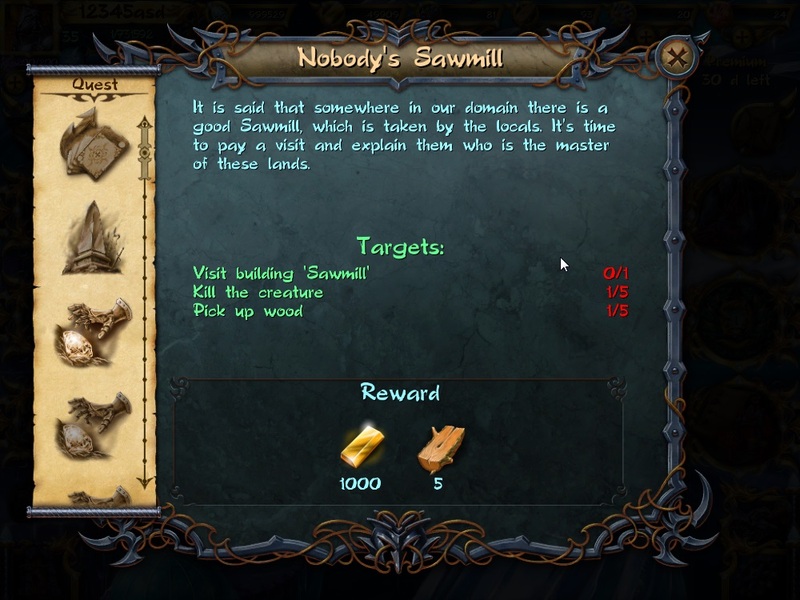 Also the game has a system of daily tasks that will make it more exciting. 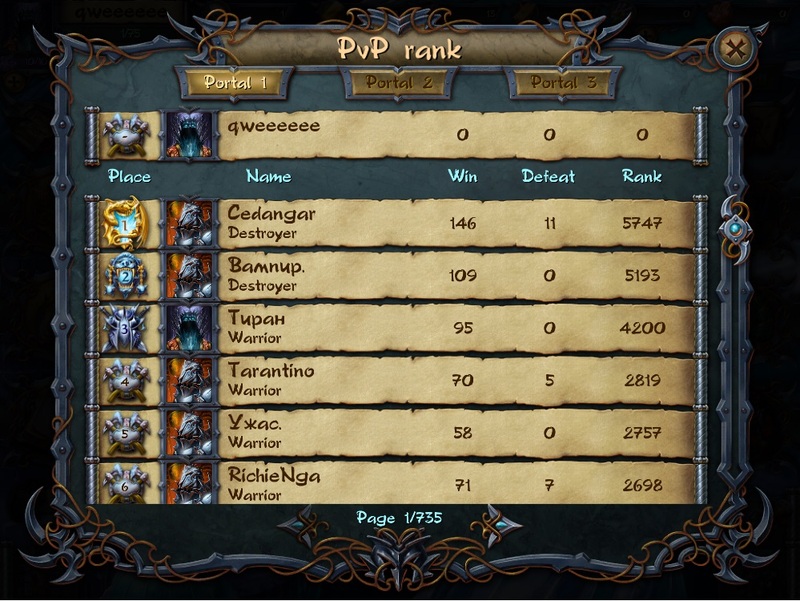 And at last there is a PvP rating, where you can be honoured as the best players. 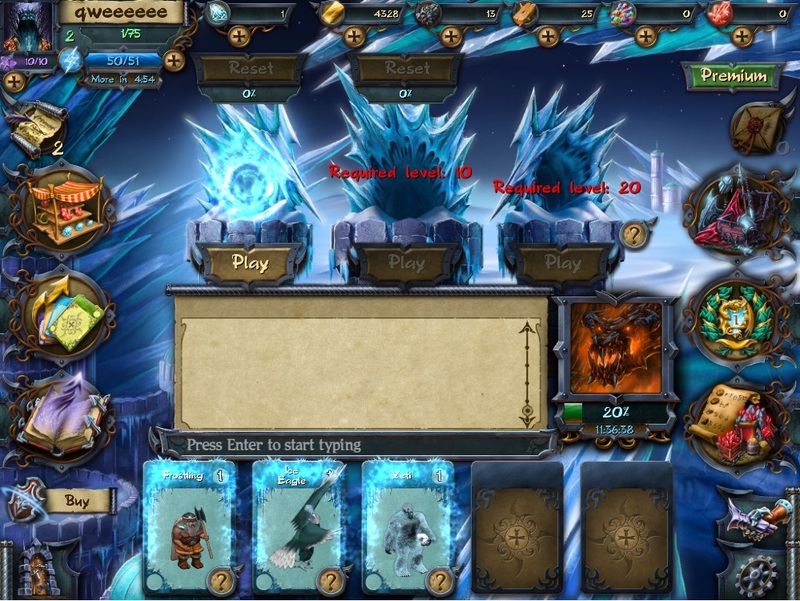 For your convenience there is a chat in the game, where you can communicate with other players, to ask a question, to give advice to other players, or simply to have a chat. Farm a lot (to gather resources and gain units). Try to use (gain or buy) the most powerful units. Play in the 3rd portal often (in this way you will be able to get a shut down boss as a unit). Use the inventory stuff and improve the heroe’s artefacts. Add more friends and to exchange resourses. To follow the mana and energy levels, and to improve spells. At every location you can attack an enemy, in this way a reward for victory will be bigger than for a victory over a computer rival. Upgrade resources’ storage in time. Remember that locations has many mines and other amenities that will help you with the replenishment of mana and resources. So, happy trails hero and may good success attend you!